The typical defences offered by those named in the Panama Leaks, around the world, are: this is perfectly legal, and if I can legally avoid paying taxes, then why should I? The latter has serious implications for a country’s fiscal health. Imagine the implications of all the businesses of a country operating through offshore companies. No entrepreneur would be liable to pay personal or corporate income tax. The tax revenue would fall dramatically. Countries would find it difficult to pay for their defence, let alone fund the running of the government, infrastructure development, education and healthcare. Without tax money, governments would fail to deliver. Non-performing governments would be frequently replaced. The ultimate outcome would be anarchy. This scenario is not entirely imaginary. Nobel laureate Douglas North, tracing the constitutional history of the UK, narrates in one of his classic research papers how the UK fell into anarchy in the 17th century. The king, having insufficient money to run the country, used questionable means to raise funds – including borrowing from the public but refusing to pay back and confiscating the citizens’ property. Such conditions led to Britain’s civil war of 1644, followed by the Glorious Revolution of 1688. In the wake of the revolution, the state and the citizens struck an implicit bargain. Parliament, dominated by the wealthy, agreed to pay taxes in return for checks on the powers of the crown. Before the revolution, poor governance and the subsequent anarchy was rooted in the state being fund-starved. Taxes relieved the scarcity and gradually contributed to what the UK is today. After the revolution, property rights became secure, parliament got a greater say in governance and the king refrained from issuing ordinances to his own advantage. In today’s world, money printing by central banks has reduced the reliance of governments on tax money. Now, taxes supplemented by limits on money-printing have the potential to produce a 17th century UK style state-citizen bargain. Besides funding governance, the other rationale for taxes is ‘redistribution’. Income inequality, which was once thought to promote economic growth, is now a suspected cause of terrorism. Paul Collier’s ‘greed or grievance’ hypotheses posits that people, especially the deprived ones, engage in terrorism to either make money or avenge their grievances. To curb terrorism, income inequality should be checked. And taxes are a means of doing this – the rich pay taxes to fund, for example, education and health care for the poor. This narrative makes it unethical to avoid legally avoidable taxes, and the higher the stature of a tax evader, the more unethical the evasion. Therefore, where possible, the law should be amended to make such evasion unlawful. In the wake of the financial crisis of 2008, the developed world undertook some muted efforts to curb offshore businesses. Success was limited. Now, the Panama Leaks make a strong case to undertake the required institutional reforms at the global and domestic levels, to the extent banning offshore business. To begin with, the government in Panama is facing pressure from within. Scores of Panama’s civil groups, grouped under the Citizens Alliance for Justice, maintain that the leaks have given the country a bad name. They have called for a thorough probe and have questioned why the relatives of the co-founder of Mossack Fonseca occupy high positions in the Panamanian government. The French president has termed the Panama Leaks as ‘good news’ because they will help France catch tax dodgers. France has also decided to ask the OECD to label Panama as a tax haven and view the country as ‘not cooperating to curb money laundering and tax evasion’. Sensing trouble, the Panamanian president has met the country’s diplomatic community to assuage international concerns. Panama, which had refused to share information on offshore companies with most countries around the world, has now expressed the intention to undertake banking reforms. All this augurs well for the future. So far, corruption is not an election issue in the third world. The Panama Leaks provide an opportunity to undertake the advocacy required to make corruption an election issue around the world. The media, knowingly or unknowingly, is undertaking a part of the advocacy required and politicians are vowing to do more. The naming of first families and ordinary citizens in the leaks, around the world, raises the question: should morality standards for first families be tougher than for the rest? A related question is: should first families be investigated before others? The answers to both questions is yes, because, unlike others, the first families enjoy some formal authority and informal clout to spend money from the national exchequer. One would not like to entrust his or her money to someone suspected of non-transparent personal financial affairs, even if the suspicion is yet to be proved beyond doubt. The concept, enshrined in law, that parents have nothing to do with assets and business interests of their adult children is fine in cultures where people are unlikely to benefit from their close relatives’ political clout. In the third world, politics is dynastic and most businesses, not just companies but entire business groups, are family owned. If children can benefit from the political stature of their parents, it would not be wrong to assign some credit to parents for the wealth accumulated by their children. Society has to demand legislation to incorporate this aspect of joint ownership. The Panama Leaks make a case for such legislation, at least for electoral purposes, and also for the advocacy required to make that happen. We already have an election law that debars a person from contesting elections if his or her dependents or spouse are defaulters of a bank loan. A similar law is needed to establish a relationship between foreign (including offshore) assets of children and parents, when either of the two are politicians or public officials. What would be the fate of demands for much-needed institutional changes, aimed at introducing transparency in financial affairs and making the elites pay taxes, declare their assets and sources of wealth? Would-be losers would attempt to block proposed reforms. One lesson from history is that instituting reforms calls for struggles involving long-drawn advocacy. The Panama Leaks have the potential to trigger this much-needed advocacy. 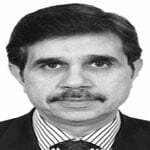 The writer is associate professor atthe Pakistan Institute of Development Economics.